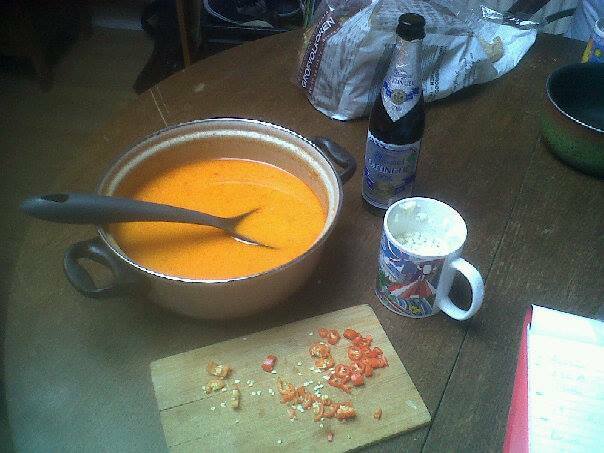 The Bulgarian cure for hangovers, served in Holland. 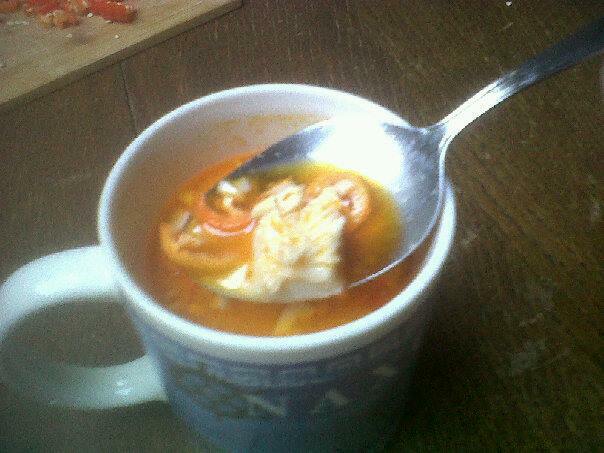 Our tip for the weekend… Today we had a good cup (we ran out of soup bowls) Bulgarian tripe soup. Or shkembe chobra as they call it. This simple soup with the main ingredients tripe, garlic and chili pepper is a great cure for hangovers. I appologyze for the bad quality of the pictures, but if you like here’s the recipe. If you want to make it a proper Bulgarian hangover breakfast a beer is implied of course. A close up look at the tripe soup. 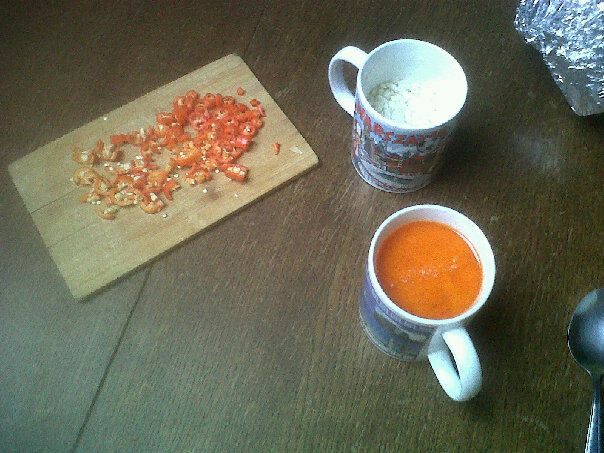 Clockwise: freshly chopped chili pepper, garlic and vinegar mix, soup in a cup.